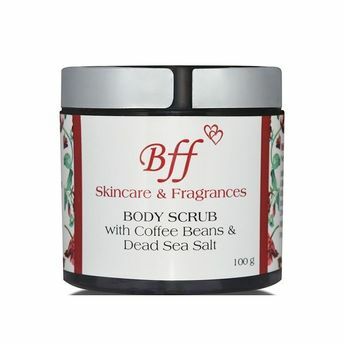 BFF Skin Care's Body Scrub is a natural exfoliation treatment, for skin tightening & glow. Repair all your skin imperfections and expose softer and smoother skin by gently applying this scrub on your body. It gently exfoliates dead skin cells and gives smooth and soft skin. This scrub help to fight premature skin aging like wrinkles, sun spots, fine lines and reduce cellulite.